If there’s one thing that meditation will deliver, it’s the All Powerful Pause. Is anyone familiar with The Pause? During day to day life, we’re constantly in a reactive state. Whether we’re reacting to someone else, our own cravings, or even chronic pain, we typically follow an ingrained reaction. However, with a steady Internal Practice, one develops A Pause: a moment of suspended clarity, when the correct path instantly aligns. It kinda makes you feel like Neo from The Matrix! 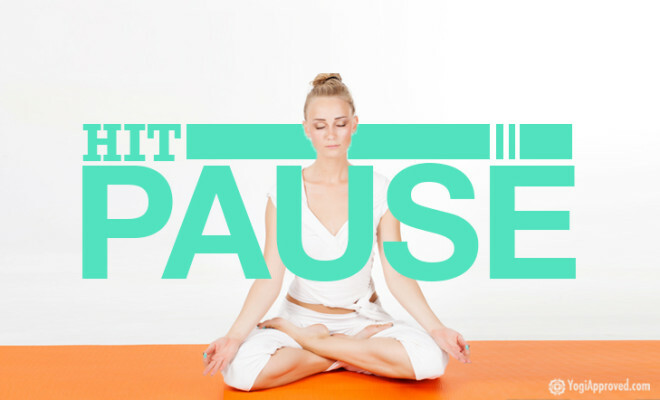 A Pause is something I incorporate into my yoga class: before we rise from Fetal to Final Meditation, I make everyone aware of the importance of The Pause. I continuously share The Pause to people that are overcoming addictions of all sorts. This tool can be useful in every aspect of your life! So powerful, The Pause: it’s just one breath away! Meditation does not have to be a chore. a few minutes here, a few minutes there. It’s a simple as placing your awareness on your breath.